Believed to date from the 16th century, the Peacock Inn is a comfortable and charming inn of the very best sort, and the carefully chosen decor makes the very best of its many charms. The heart of the business is the bar with its huge inglenook fireplace where an open fire burns cheerfully in the cooler months whose low ceiling and exposed beams provide a rally charming environment. In total the public areas seat around 65 with lots of “elbow room” and there is further space outside, both at the front of the building and in the grassed beer garden at the rear. Resident owners will appreciate the extremely spacious four bedroom flat above, and all in all this is a super property which although trading well following refurbishment offers great scope for further business development. This is an affluent and popular part of the world. 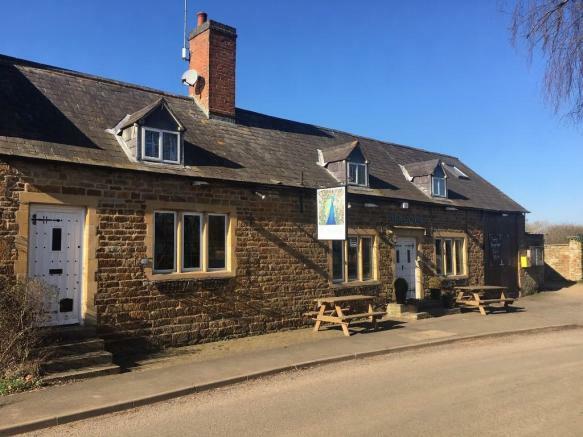 The attractions for tourists of the Cotswolds and Stratford-upon-Avon are well known, but this is also a very accessible village for commuters to the West Midlands. Oxhill itself is a pretty village and the Peacock is in its centre with many attractive properties around it. The Peacock was bought by our client in 2015. He and his partner have much enjoyed their time in the business but he is finding it difficult to spend the time he would like with children in Cornwall and as a result has decided to sell so he can move down to the far south west. They leave the Peacock, and its newly redecorated owners’ accommodation in particular, in great shape for successors. The property can be entered either direct from the front elevation into the centre of the main Bar or, from the car park, via a spacious Lobby. 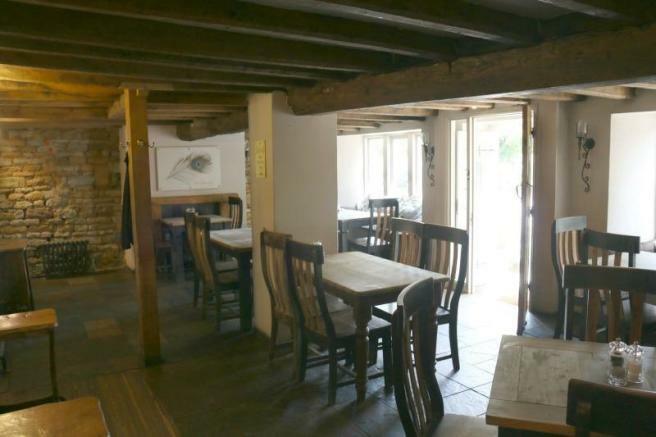 The Bar seats around 30 and is a room of great character with an open fireplace and exposed beams and timbers. Adjoining is the Restaurant, in two sections seating around 35. The lower section of the restaurant walls are panelled with a stunning peacock’s feather design wallpaper above. There is an open fireplace with stone surround which, although seldom used, adds character. A large flat is a particular feature of this business. Occupying the whole of the first floor it comprises spacious living room, kitchen, bathroom and three double bedrooms plus a study or nursery. Commercial catering kitchen with wash-up area and walk-in chiller. Ground level cellar, externally accessed bottle and wood store. 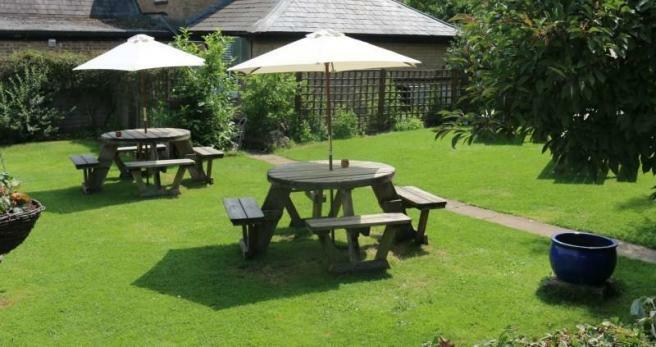 To the front of the property are three picnic sets and at the rear, in a grassed beer garden with well stocked borders, there are a further seven. Large loose surfaced car park. A premises licence is held for the property, further details available on request. Accounts for the year ended July 2018 show net sales of £398,882 with these split evenly between food and drink sales. Trading Profit, adjusted for some unusual professional fees was £46,766 but there is clear scope for improvement in different hands. Offers in the region of £575,000 for the freehold interest complete with goodwill and trade contents (according to inventory), excluding personal items. Stock in addition at valuation. Colliers International is able to assist prospective purchasers by introducing sources of finance if required. Whilst we do not charge the buyer for this service, we may receive an introductory commission from the lender of broker involved. All appointments to view MUST be made through the vendors’ agents who are acting with sole selling rights. Disclaimer - Property reference 308108. The information displayed about this property comprises a property advertisement. Rightmove.co.uk makes no warranty as to the accuracy or completeness of the advertisement or any linked or associated information, and Rightmove has no control over the content. This property advertisement does not constitute property particulars. The information is provided and maintained by Colliers International (Hotels), Bristol. Please contact the selling agent or developer directly to obtain any information which may be available under the terms of The Energy Performance of Buildings (Certificates and Inspections) (England and Wales) Regulations 2007 or the Home Report if in relation to a residential property in Scotland.